The Sky Is Falling. Again. There is no other logical explanation for the miraculous appearance of 74,650 metric tonnes of copper into LME warehouses in 48 hours. There is no shortage of negative headlines to weigh on sentiment, and markets. First, there is no clear or consistent relationship between various yield relationships and recessions. As for the other events – They may get worse before they get better, but ‘This Too Shall Pass’. What is concerning, is that copper on Comex fell back below its nearby support line, as the weekly bar chart illustrates, and is sitting right on the ten week moving average. Also, the Base Metals Barometer, an index of prices for the entire nonferrous complex was unable to get through resistance, suggesting caution. Conversely, inventories continue being depleted, with lead, tin, nickel, and zinc at multi year lows. 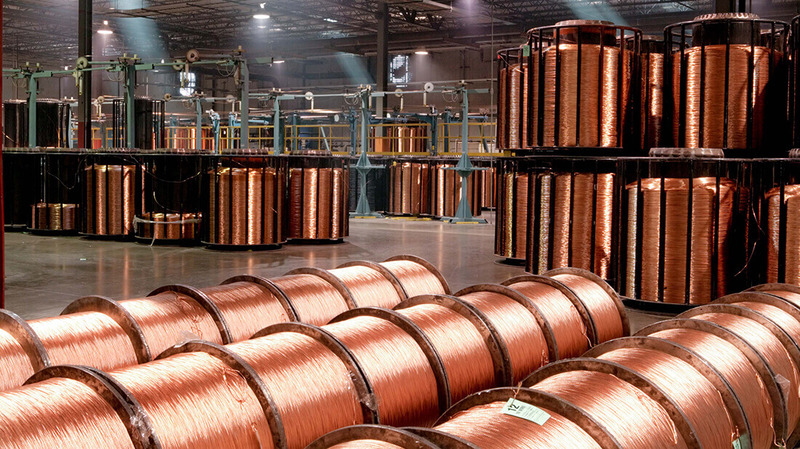 On a more macro basis, our friends at the International Copper Study Group report that global production of refined copper rose 352,000 mt or 1.5% during 2018 to 23.876 mmt, while consumption climbed 474,000 mt, or 2.0% to 24.263 mmt, resulting in a 387,000 mt deficit, following a 265,000 mt deficit in 2017. At some point, the market will take notice of the shortfall. Since 1973, John Gross has been associated with worldwide leaders in every sector of the metals business. Stay up to date with our latest news and market updates by signing up to our newsletter. Please try again later or email john.gross@jegross.com if problem persists. JE Gross & Co., Inc.